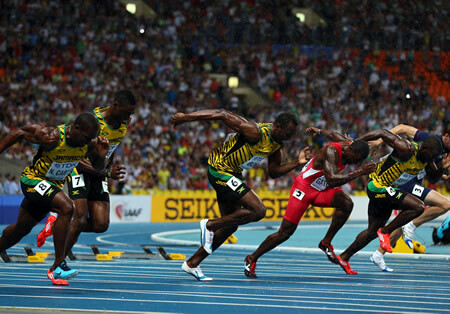 Photo: Usain Bolt of Jamaica (C) starts in the Men’s 100 metres Final during Day Two of the 14th IAAF World Athletics Championships Moscow 2013 at Luzhniki Stadium on August 11, 2013 in Moscow, Russia. (Photo © 2013 Getty Images/Getty Images for SEIKO). 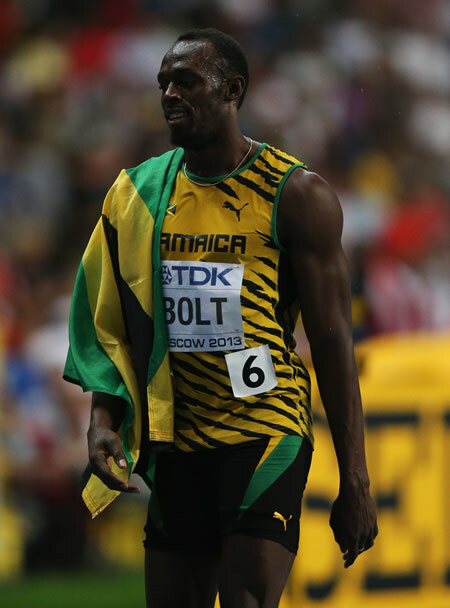 Photo: Usain Bolt of Jamaica wins gold in the Men’s 100 metres Final during Day Two of the 14th IAAF World Athletics Championships Moscow 2013 at Luzhniki Stadium on August 11, 2013 in Moscow, Russia. (Photo © 2013 Getty Images/Getty Images for SEIKO). 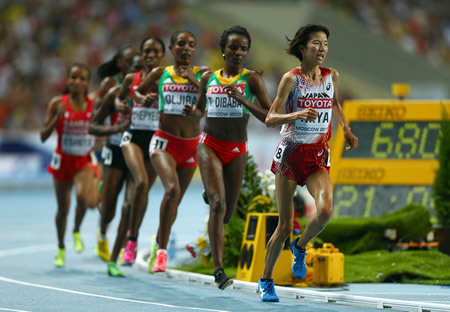 Photo: Hitomi Niiya of Japan leads the pack in the Women’s 10000 final during Day Two of the 14th IAAF World Athletics Championships Moscow 2013 at Luzhniki Stadium on August 11, 2013 in Moscow, Russia. (Photo © 2013 Getty Images/Getty Images for SEIKO). 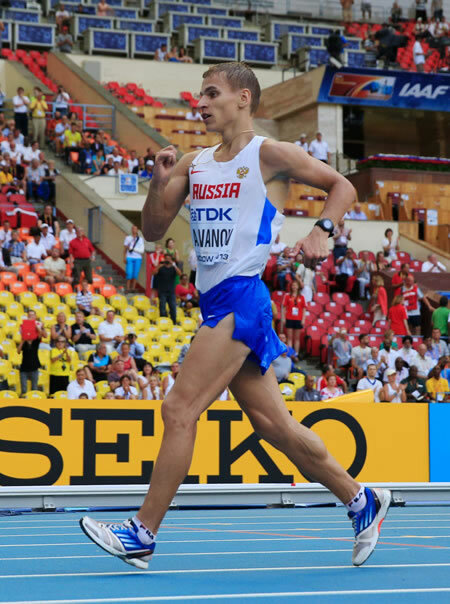 Photo: Aleksandr Ivanov of Russia competes in the Men’s 20km Race Walk final during Day Two of the 14th IAAF World Athletics Championships Moscow 2013 at Luzhniki Stadium on August 11, 2013 in Moscow, Russia. (Photo © 2013 Getty Images/Getty Images for SEIKO). 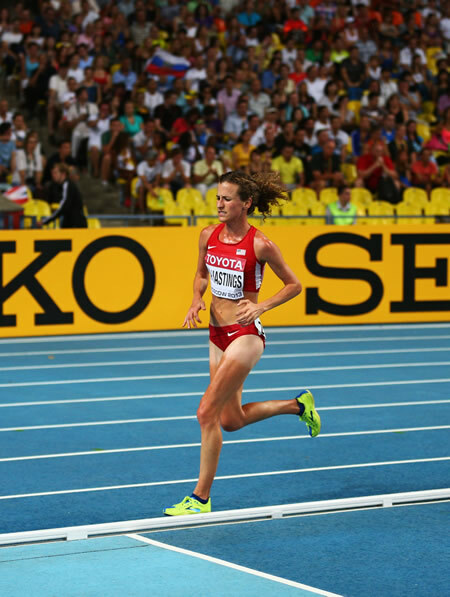 Photo: Amy Hastings of the United States in the Women’s 10000 final during Day Two of the 14th IAAF World Athletics Championships Moscow 2013 at Luzhniki Stadium on August 11, 2013 in Moscow, Russia. (Photo © 2013 Getty Images/Getty Images for SEIKO). 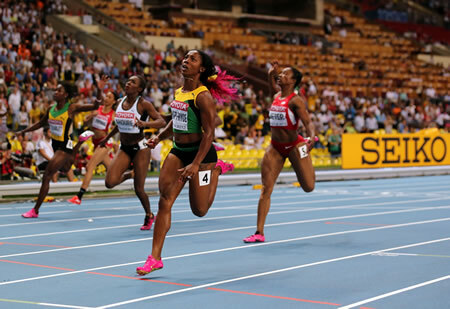 Photo: Shelly-Ann Fraser-Pryce of Jamaica celebrates winning gold in the Women’s 100 metres final during Day Three of the 14th IAAF World Athletics Championships Moscow 2013 at Luzhniki Stadium on August 12, 2013 in Moscow, Russia. (Photo © 2013 Getty Images/Getty Images for SEIKO). Photo: Christina Schwanitz of Germany wins silver in the Women’s Shot Put Final during Day Three of the 14th IAAF World Athletics Championships Moscow 2013 at Luzhniki Stadium on August 12, 2013 in Moscow, Russia. (Photo © 2013 Getty Images/Getty Images for SEIKO). 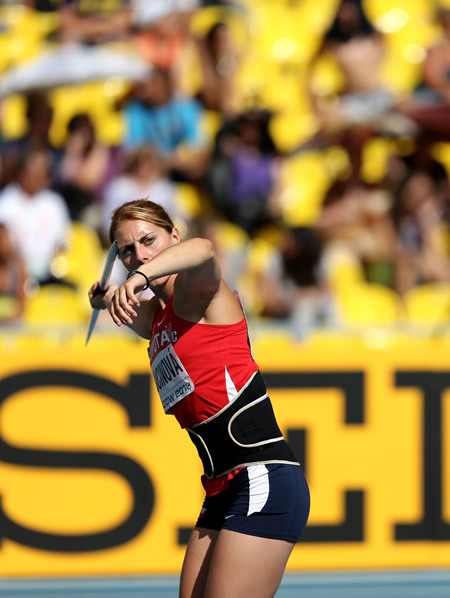 Photo: Womens Hepathlon javelin during Day Four of the 14th IAAF World Athletics Championships Moscow 2013 at Luzhniki Stadium on August 13, 2013 in Moscow, Russia. (Photo © 2013 Getty Images/Getty Images for SEIKO). 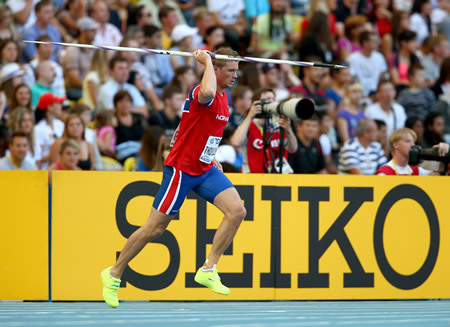 Photo: Men’s Javelin final during Day Eight of the 14th IAAF World Athletics Championships Moscow 2013 at Luzhniki Stadium on August 17, 2013 in Moscow, Russia. (Photo © 2013 Getty Images/Getty Images for SEIKO). 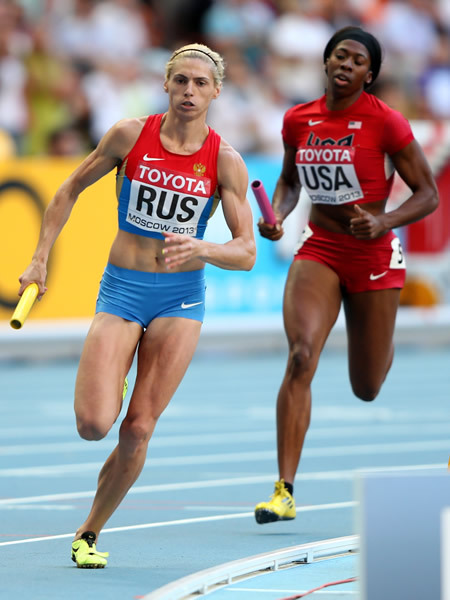 Photo: Antonina Krivoshapka of Russia runs ahead of Francena McCorory of the United States in the Women’s 4x400 metres relay final during Day Eight of the 14th IAAF World Athletics Championships Moscow 2013 at Luzhniki Stadium on August 17, 2013 in Moscow, Russia. (Photo © 2013 Getty Images/Getty Images for SEIKO). Photo: Brianna Rollins of the United States celebrates winning gold in the Women’s 100 metres hurdles final during Day Eight of the 14th IAAF World Athletics Championships Moscow 2013 at Luzhniki Stadium on August 17, 2013 in Moscow, Russia. (Photo © Cameron Spencer/Getty Images). 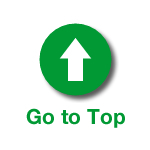 • The IAAF (International Association of Athletics Federations) World Championships Moscow 2013 are taking place in Moscow, Russia, from August 10 through August 18, 2013. Stuttgart, Germany — Tennis megastar Maria Sharapova has taken on a new role. Effective immediately, the world class player will be representing the sports car manufacturer, Porsche AG, as brand ambassador. “Maria Sharapova is an exceptional athlete. She combines top performance in her sports with elegance and power. 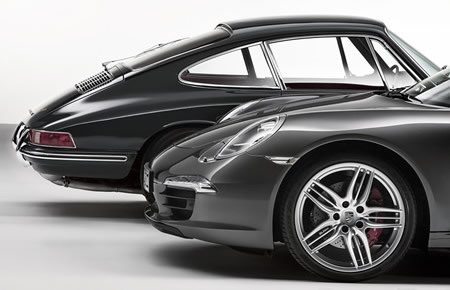 These are precisely the qualities that are embroiled in our sports cars,” Matthias Mueller, CEO of Porsche AG, explained.